Looking at the first chart below, you can see the top marginal income tax rates dropped from 73% in 1921 all the way down to 24% by 1929. After that, as we know from history, the stock market crashed and we plunged into the Great Depression. When the top marginal rate jumped as high as 94% in 1945 (and 92% during the Eisenhower era) and never below 70% until President Reagan was in office, the American economy hummed along very nicely. But from Reagan’s presidency to now, the top rate dropped to its current level of 35%, and for all but the wealthy, the economy has been sluggish at best. It shouldn’t take an Ivy League mathematician to figure out from the numbers in the charts that the economy does best for most Americans when the rich are paying their fair share, something they haven’t done for a very long time. Of course, the Republican Party is horrified at the thought of letting the Bush tax cuts of 2001 and 2003 expire (as they were scheduled to in 2010) and allowing the top marginal rate to move from the current 35% to its previous 2000 level of 39.6%. Even with massive federal deficits, the thought of a 4.6% hike on the marginal rate of millionaires and billionaires is totally unacceptable to the GOP tax-cut idealogues. The facts contained in the charts below should be convincing to any objective observer that the top tax rates need to rise, though not if he or she has a Republican or Tea Party bent, because to those people, facts and evidence are trumped by discredited ideology. This entry was posted in Economics, economy, government, inequality, Republican Party, taxes and tagged income tax, President Eisenhower, President Reagan, tax cuts, tea party, the Great Depression, top marginal tax rates. Bookmark the permalink. Arlen Grossman, here is a video for you: https://www.youtube.com/watch?v=QidUgUWk2GE The guy in this video is presenting his analysis of the flat tax plan as proposed by Rand Paul. In the plan Rand Paul proposes, he exempts the first $50, 000.00 a family earns from any income tax, as well as eliminating the payroll tax, which is regressive. Any person who can say that if you earn $50, 000.00 a year or less you will get a tax hike is inherently not credible, as well as being economically illiterate. A flat tax does seem regressive. A graduated tax would be fairer. But the idea of simplifying our tax system is very appealing. Arlen Grossman, flat and regressive have 2 separate meanings from a tax standpoint. Any person who equates flat taxes and regressive taxes is economically illiterate, as well as having no direct knowledge of how the tax system works. I think I understand what you are saying. A flat tax would be regressive, but with those exemptions is would be less regressive. But as always, either way the rich will get richer. Why is it always that way with conservative tax plans? Arlen Grossman, flat and regressive have 2 different meanings. Flat means that the rate is constant. Regressive tax means that as your income goes up, your tax rate goes down. The idea of flat taxes being regressive just goes to show that many people who say that are economically illiterate, as well as having no knowledge of tax policy. You are correct. But I am sure you must understand that a flat tax is less desirable than a progressive tax for lower-income families.And that is the point I’m trying to make. Arlen Grossman, if we are speaking in terms of a marginal tax rate, anything beyond 25% is too confiscatory. Who can spend our money better-us or Washington D.C. bureaucrats? The government can do and can be willing to do necessary things that the private sector can’t or won’t. I understand what you are saying. 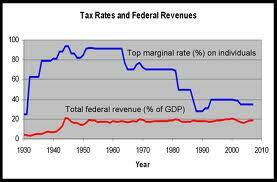 In general, a flat tax is regressive. But if you have exceptions as you indicate, it would not be as regressive.. I don’t know if Pakman is aware of those exceptions. If he was, he should have presented them. Arlen Grossman, I know that people will argue that high tax rates may be a greater incentive to invest money. To answer another argument that advocates of high tax rates will make, I know that they will make the argument if the rate is higher, people will put money back into their businesses and do other things which provide tax write-offs, ultimately resulting in that money flowing back into the economy. My only real issue with the tax the rich crowd is that you might have some people who may not be rich who only say tax the rich as an act of spite. Just making the argument that they can afford to pay more is not adequate enough. Jeffrey, you make a good case for why lowering tax rates on the rich is a bad ldea. Arlen Grossman, you had said that you liked my idea regarding where I would attach the tax rate of a wealthy business owner to how much they pay their employees. What do you like most about that idea? Arlen Grossman, here is an idea: Tie the tax rate of a wealthy business owner to how much the business owner pays his or her employees. If the business owner writes a bigger paycheck, the business owner pays very low taxes on the income the business earns. Arlen Grossman, in my idea, the only time a wealthy business owner would pay relatively low taxes on the income the business earns is if the owner wrote a bigger paycheck for his or her employees. You said that the rich still need to pay their fair share of taxes, as well as provide liveable wages for their employees. To factor in my idea, here it is in a nutshell: You sit on the money, you pay a higher tax rate. If you write bigger paychecks for your employees, your tax rate on the income is low, however, only on the condition of bigger paychecks being written. I wish Congress would go along with your idea, Jeffrey. It sounds good to me! Arlen Grossman, it is clear that the rich would also have to uphold their end of the bargain in this scenario. I get that. Now, if the tax rate a wealthy business owner would pay is tied to how much money said person paid his or her employees, the wealthy business owner could write bigger paychecks without the risk of increased tax rates on the money that was earned. A business owner who pays his or her employees more money would pay a lower tax rate. Should that same business owner pay his or her employees less, they would pay a higher tax rate. I call b.s. on this. The only thing high taxes do is give government politicians license to spend our money excessively, with no net positive result. You say there is no net positive result. I would say higher taxes have resulted in many positive results and the potential to result in great investments for the country. Arlen Grossman, high tax rates only grow the wallet of the government. They also fund things that we don’t need. Paying for welfare of people who cross over our border from Mexico, paying for incarcerations of people who use drugs, which is absurd, funding Planned Parenthood, which I find morally reprehensible. The money also gets wasted by funding federal departments that are not Constitutionally authorized. Can you refute any of that logically? What I don’t understand, Jeffrey, is why you don’t complain about all the tax cuts, tax breaks, and subsidies that go to the wealthy. They got almost all of the recent tax cut, resulting in a huge increase in our national debt (which now conservatives don’t seem to care about). Wealth inequality expands every year. The rest of what you complain about pales in comparison to the breaks given to corporations and billionaires. Arlen Grossman, the national debt is a big problem. I will not dispute that at all. The problem is that as tax rates go up, that gives politicians license to spend our money in unnecessary ways.